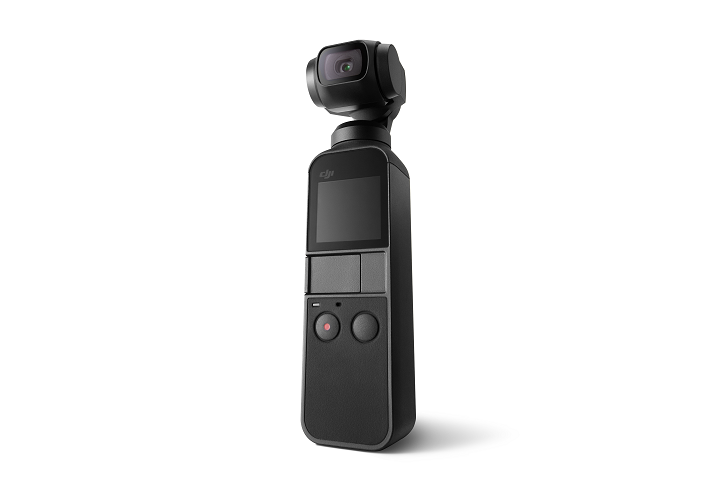 Innovation is at the heart of every product we create and DJI Osmo Pocket is here to change the way photos and videos are captured, not just by professionals but by parents, couples, adventurers, travelers, and everyone in between... Osmo Pocket is a portable personal camera crew and we can’t wait to see how people use it to capture their stories and share them with the world. 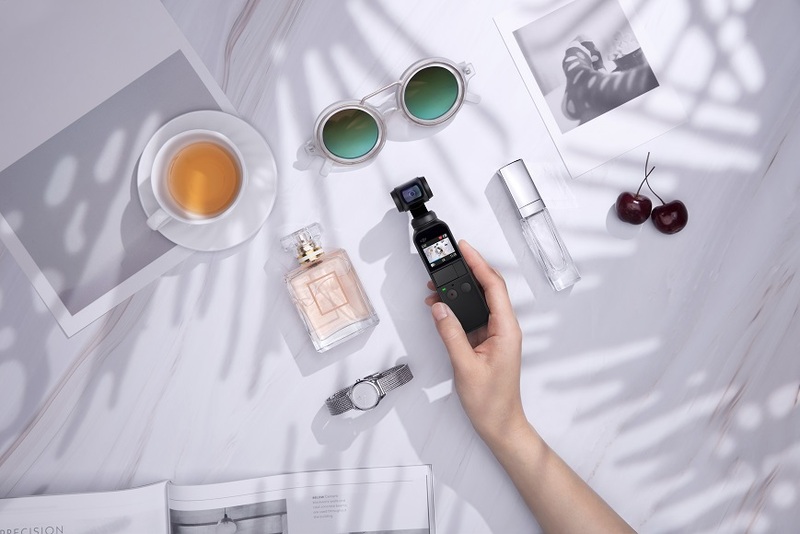 ActiveTrack - DJI's image recognition algorithms allow Osmo Pocket to recognize and follow subjects of your choice, perfect for capturing family moments easily with the tap of your finger. FaceTrack - FaceTrack takes ActiveTrack one step further. With enhanced ActiveTrack algorithms, FaceTrack automatically recognizes a human face and locks the subject in center of the frame at all times. It does not identify individual faces, but keeps the camera centered on one. To initiate FaceTrack, simply select selfie mode and the camera will detect your face. Timelapse & Motionlapse - If you’re looking to turn minutes into seconds, Timelapse is perfect for capturing unique content with the effect of the world moving faster around you, while Motionlapse adds the dynamic element of camera movement to your Timelapse. FPV Mode - FPV Mode lets you capture your greatest adventures by recording video from your perspective. Instead of locking the gimbal to maintain the horizon, FPV tells the camera to follow your every tilt and lean, shooting dynamic footage exactly as you experienced it. 3x3 & 180° Panorama - For capturing breathtaking wide-angle photos, Osmo Pocket offers two Panorama modes. 3X3 takes an expansive 9 images in total while 180° mode captures 4 images. Osmo Pocket software stitches them together automatically so you can focus on the framing of the scene. Pro Mode - If you want even more control over your content, “Pro mode” gives you access to camera setting adjustments and exposure settings to let you create exactly how you want, from rich video in bright conditions to a perfect handheld long exposure photo at night. Whatever you want to shoot, Osmo Pocket and DJI Mimo let you explore and expand your creativity. Osmo Pocket automatically detects and illuminates low-lit scenes into bright photos. This helps eliminates the need for a tripod, and you can rely on the gimbal to keep the camera still for a shutter speed of up to three seconds. Illuminate the dark, or capture the movement of light in a “light painting.” You’re only limited by your imagination. Wireless Module - The wireless module supports Wi-Fi and/or Bluetooth transmission between Osmo Pocket and your smartphone, providing remote access to the camera feed and control of Osmo Pocket; perfect for setting up a Timelapse or Motionlapse on a busy city street. Controller Wheel - The wheel allows you to precisely control gimbal movement (left-right or up-down) enabling you to easily adjust the composition of your shot. 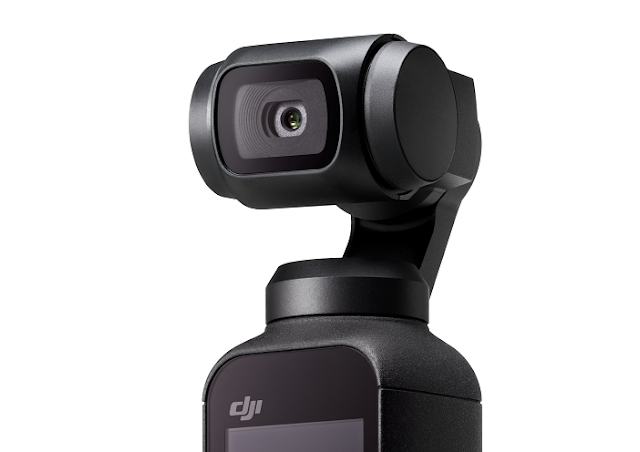 Re-center the gimbal or switch to selfie mode easily with dedicated buttons on the handle. Expansion Kit - The expansion kit includes the Accessory Mount, Wireless Module and Controller Wheel. ND Filters Set** - Specifically designed for Osmo Pocket, ND filters attach to the front of the camera to reduce the amount of light entering the sensor. The ND Filter Set offers several levels of filter darkness and allows for more control over the camera's aperture, exposure time, and sensor sensitivity settings. Waterproof Case** - Bring a unique underwater perspective to your footage using the Waterproof Case which can be placed at a depth of 60 meters. Charging Case** - This dual-purpose case not only protects Osmo Pocket while in transit but charges it as well. Dedicated sections were added into the case for your MicroSD card and ND filters so you can quickly grab your Osmo Pocket and know you’re ready to capture those moments and adventures. 3.5mm Adapter** - The 3.5mm Adapter allows you to connect an external microphone if you prefer to capture audio using a separate device.